It’s no secret that shipping lines struggle to achieve accuracy in the invoices they issue to beneficial cargo owners (BCOs) and non-vessel-operating common carriers (NVOs), but the root cause of that problem is often laid at the door of technology, or a lack of investment in technology. Research earlier this year by Drewry Supply Chain Advisors found that large shippers face ocean freight invoicing inaccuracy rates of 2 to 5 percent, while smaller shippers face rates as high as 30 percent. 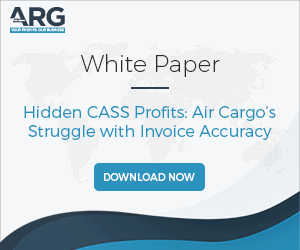 Mark Palladino, principal of ARG LLC, a New Jersey-based revenue recovery company that helps airlines and shipping lines, said he doesn’t attribute ocean carriers’ problems with invoice inaccuracy to lack of technology adoption but to poor data and poor processes. Some of the blame lies with shippers as well, Palladino said in a discussion Friday with JOC.com. “The shipper could easily input the wrong service contract for a container and that could flow through the entire move, all the way to invoicing,” he said.